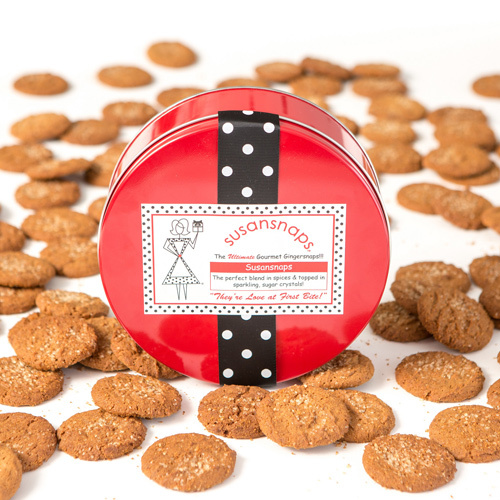 Lucky recipients will fall in love as they bite into one of our gourmet gingersnaps! 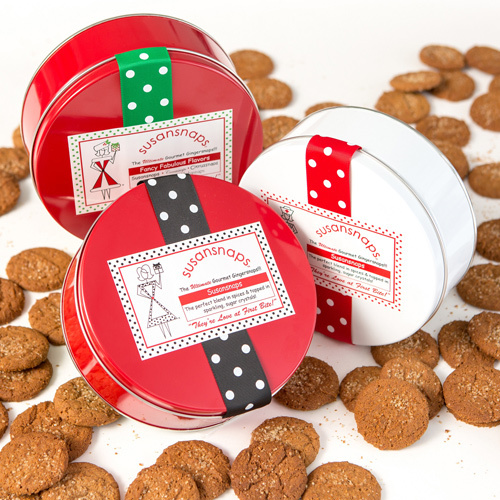 Gift Tins contain 35 cookies, that’s over a 1lb, in our most popular Susansnaps. 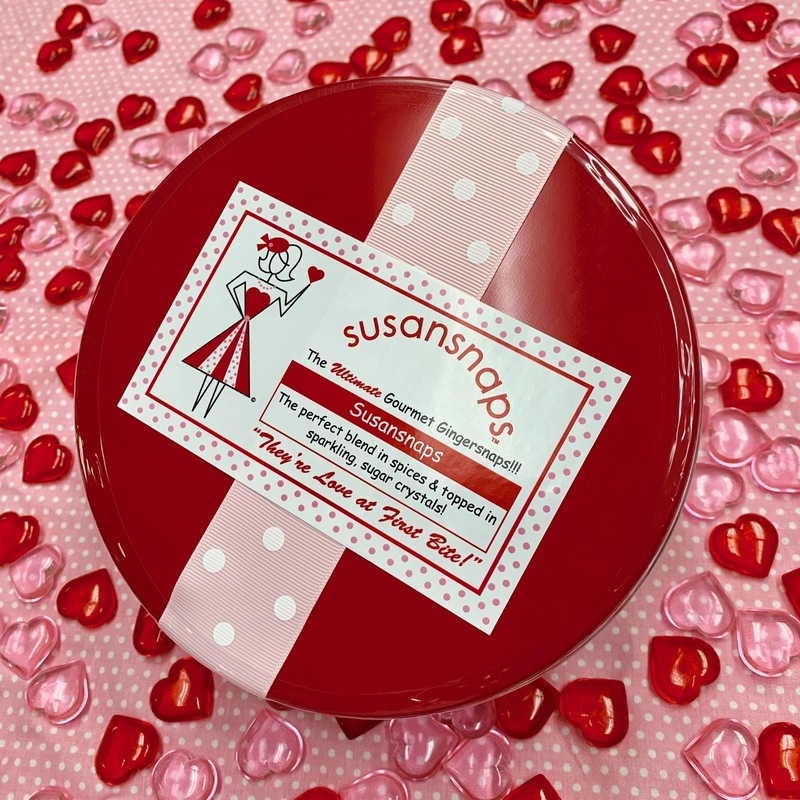 Our gift tin is a classic way to share Susansnaps. 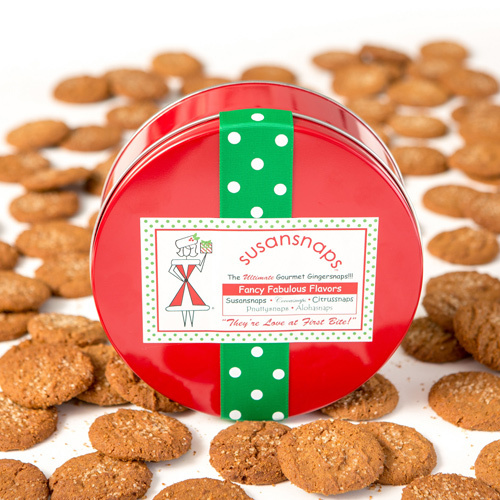 Tins have 35 cookies of our #1 Flavor: original Susansnaps. As a fun Susansnap fact, the tin was our very first packaging option. 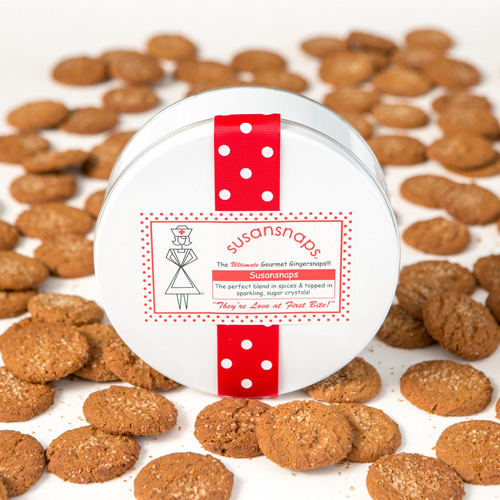 Back in the day, we baked only original Susansnaps and packed them in a glossy red tin with an oversized label. One cookie in a red tin started it all. I love sharing these cookies. Not only are they delicious but the story about how the business was founded makes the gift giving even more special. 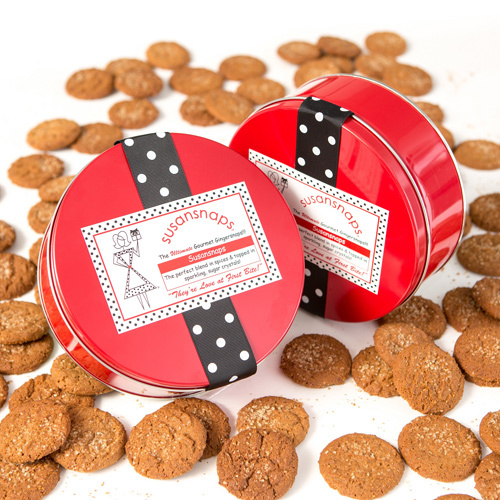 I received a 5 pack of Originals, as my BFF read about SUSANS SNAPS on my Facebook page, she ordered, and lucky me, I got to try these delightfully scrumpy Ginger Snaps. I’m a retired chef and baker, these cookies are divine, the crunch, and the excellent ginger flavor is delicious. What a marvelous charity as well. I’ll be ordering in December. These cookies are wonderful! I bought them as a gift and my husband and I ended up eating them all! Now I am purchasing for a brave nephew who is fighting cancer. These are the best cookies made by the best people you could know. ©2019, Laura's Divine Desserts, Inc. DBA Susansnaps. All Rights Reserved.